Hey Crew! 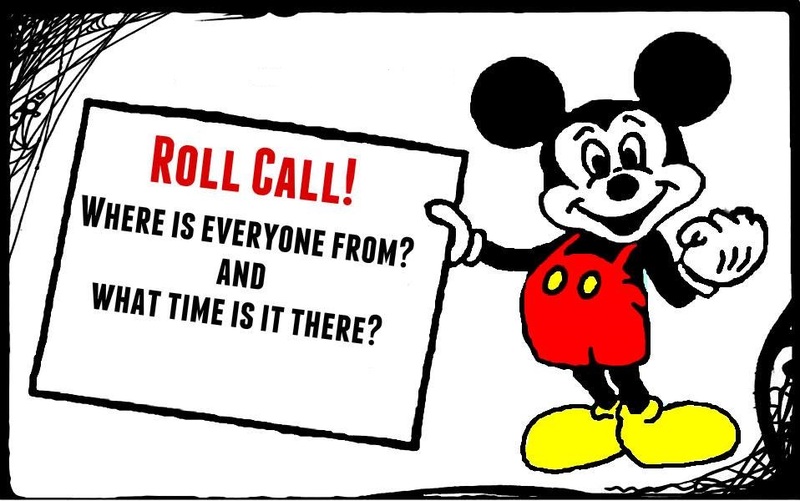 Just for fun, Gina wants to know…. Guatemala, Centro America 4 p. m.
It is 6:15p.m.here in Windsor,,Ontario,Canada.Going for dinner to an Italian area with great restaurants. I was typing and the computer went ‘dead’. I finally figured out to follow some method a tech had told me about and I am back. it is a challenge for a senior citizen to battle with today’s technology. ANYWAY SO HAPPY TO HEAR FROM ALL OF YOU. Great to meet everyone from all over US and other countries. I lived in Cleveland for 10 years and have been to some of the other states but DID NOT GET THE OPPORTUNITY TO GO TO THE CHOCOLATE FACTORY. MY LOSS. Where did you live in Cleveland? I just came home from our beautiful Museum of Art. I live in Mentor now, but Cleveland is still my home town. I lived in Cleveland Heights. Came to the States at age15 and lived in Cleveland till I was 25. A “lifetime ago” since I am 80 now..
Hi Gina, I drive from Mentor to Cleveland Heights almost every Sunday. My church, Sts. Constantine & Helen is on Mayfield Road. It’s a 45 min. trip. FYI. I am 77 years old and love Il Volo as I am sure you do. Gina, this was fun! But bottom line, you did’nt get any chocolate? That would have been my number one priority! I LOVE CHOCOLATE. Chocolate does not like me. BUT I ate and ate it in any form that it came. Good Gina, you have all my admiration. Born in Colombia, South America. Raised in New York City. Short relocations in Rio de Janeiro, Amboise France, and London UK. Have now adopted Italy as my new honorary cultural homeland. che dice stamattina la radio, nessun incidente? Un abbraccio dall’Italia, tua patria culturale !! who says this morning on the radio, no accident? A hug from Italy, your cultural homeland!! 9:25 pm L.E. 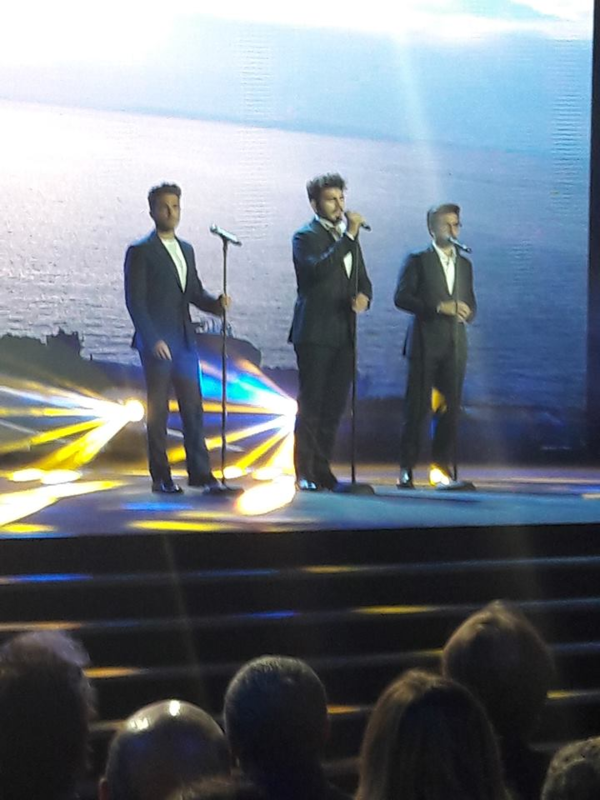 B. Martin County, Florida, USA This is a handsome, intelligent, fun Il Volo site. Very well done. Thanks to all. Buonasera , y’all. I’m Lynn from LaPlace, Louisiana. It is 8:40 pm here. LaPlace is several miles west of New Orleans (about a 45 minute drive). Some of you ladies get up awfully early in the morning & get on your computers. All I can do that early is get ready for work & try to gulp down a little breakfast! This was a good idea, Gina! 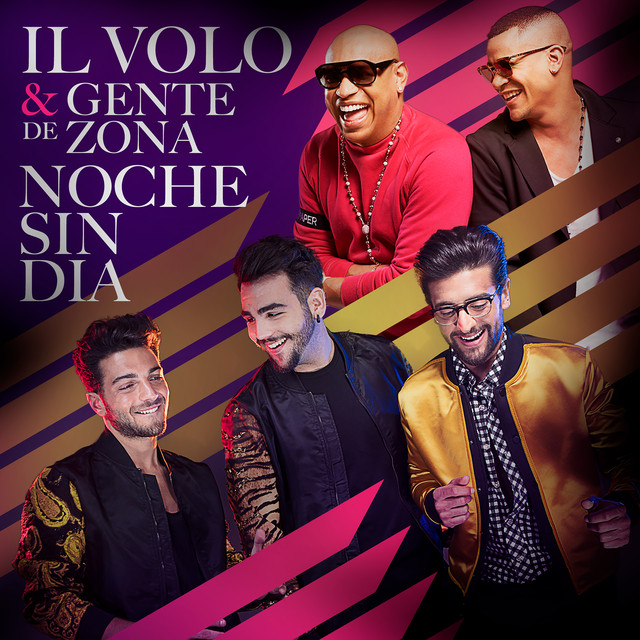 (BTW, I have a sister named Gina, but she doesn’t like IL VOLO-her loss!) Anybody else from Louisiana? It is now 8.55 a.m. on 20 July here in Windsor, England. We are having aamini-heatwave and expect about 90 degrees Farenheit (32 Centigrade). I am just about to leave for work in London. A big “hello” to all Crew from the Irishman married to the Italian woman – both of us living in exile! Ciao, vi scrivo dalla regione Toscana esattamente da Siena in Italia e vi seguo da oltre un anno, vi adoro. Ciao Maura, anch’io adoro questo blog, sono italiana come te, sono appena stata a Siena, il giorno dopo del concerto di Firenze, era il giorno del palio, ti avrei salutato volentieri. Bacioni. purtroppo il 1° luglio ero in vacanza e non ho potuto assistere alla Notte Magica a Firenze. Pensa vivo a Siena e lavoro a Firenze!!! mi sarei mangiata le mani. I love this site, you are lovely people. Been busy – now 10:11pm EST – Dearborn, Michigan!! 🙂 no others from MI responding? That’s ok, I know who you are! Lol! How about Selah, Washington. Anybody heard of that? It is 10:35pm. I’m a quiet reader, but hello everyone. Have not heard of Selah, but hello from Mentor Ohio. It’s 1:40am and I’m going to bed. It is now 4:43 PM here in Houston Texas, and a beautiful but hot afternoon. In seeing that others were also a day or two behind I decided to respond. I do hope that others will also as it is fun and interesting to see where everyone is from. Marie, are you really in Waco? I would never have guessed that. Good guess. That’s Gina in Waco. I’m in Ohio along with several other Crew members. Hi Carol, It’s Lynn. We met at the New Orleans Concert. I am still having withdrawal symptoms from then. I want to see the guys live again SOON! Hi Lynn, I agree. It went by so fast; I said to to my daughter “it just can’t be over so soon”. The new DVD will be the next thing I guess. I have their DVDs and CDs and I find I prefer to watch them sing, just can’t get enough. I’ll look for you at the next concert if it is anywhere near and this time I’d like to do the M&G, it does make is special. Carol, if they come back anywhere near us, I will be there. It is too much to hope for that they will come back to New Orleans. I want to do the M&G again to make sure I get really good hugs from them this time. The picture “police” pushed us out way too soon. i hope we will see each other again soon! Better late than never, I guess. Born and raised in Endicott, New York, but now in Rochester, Minnesota Time is 12:42 CDT. Hey Marie, very late in responding but have had problems with my tablet (3 weeks). I am in Hayward, Ca. 30 minutes south of San Francisco. It is 2:45 pm and the weather is great. How are all of you lovely people? Miss you all. Welcome back Prese! I think we should all get together and throw our computers off of a very high roof. Note…this is my tablet and not my *&^%* computer. Otherwise I’m fine and dandy. Good to see you back Prese. Remember the good old days. No PC, no laptop, no tablet, no smartphone, no communication except snailmail and rotary dial phone. Boy, are lucky we lived to see the above. Well, I am anyway, you are all a lot younger. I live in Cypress, Texas! I was born in beautiful Peru. Good morning everybody!